We crave happy endings in life and the theatre. 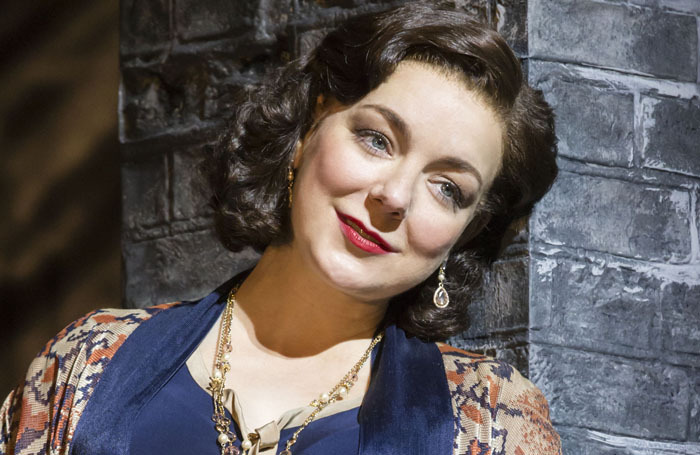 The two happily coincided last week with the return, after a nine-week unscheduled absence, of Sheridan Smith to the West End production of Funny Girl . First, all credit must be given to her fantastic understudy Natasha J Barnes, for keeping the show on the road (and winning fans and admirers of her own), in Smith’s absence. I hope she gets to take the show on the road, in the other sense, when the production embarks on a UK tour. In the meantime, she will also continue to play Monday evening performances at the Savoy. More than anything, I am happy for Smith herself. She was signed off due to “stress and exhaustion” and has shown great determination to face, fight and conquer whatever demons were troubling her. Life in the public eye is never easy, though it comes with its rewards in terms of personal and professional validation. Fame, as we’ve often heard before, comes at a big price. There’s a huge loss of privacy. It can make people even lonelier and isolated when they’re not centre of attention onstage – their lives can become the centre of attention instead. So it proved when a performance of Funny Girl had to be curtailed early and the audience sent home when Smith had been reported to be behaving erratically in early May. She then departed the show for what was initially announced as a two to four-week break but turned into nine. It’s an event that throws a particular spotlight on something that we, as a society in general but the acting profession in particular, are not keen on facing: mental health issues. There’s still a lot of stigma and shame around something that, unless you are personally afflicted by it, is very hard to understand: those who suffer from depression, for instance, are only too used to people telling them to just pull themselves together and get over it. In this context, Annemarie Lewis Thomas, founder and principal of the Musical Theatre Academy in north London, has campaigned tirelessly for mental health issues to be taken seriously at drama schools. She has previously written brilliantly about how the performing arts draws people with issues  – and then how these can play out professionally. That may be anecdotal, but art is a wonderful way to confront your feelings. It’s also a way of burying them. You give all onstage, as a character, to avoid having to look further inside. Yet at some point the piper must be paid. At the MTA, in-house counsellor Angie Peake is always available to students, promoting a keen awareness of mental health issues. Lewis Thomas is now rolling out a mental health charter beyond her own school, and is actively recruiting other schools, theatre producers and managements and agents to subscribe to it. Some of the steps are very simple and practical: theatres, for instance, are urged to provide details of mental health support networks within the locality to all visiting companies. These many include contact details for local crisis intervention teams, GPs with a specialist interest in mental health, Buddhist centre providing mindfulness and meditation and national organisations such as The Samaritans and Mind. A fact sheet on mental health has been prepared and agents are being asked to distribute this to new clients. It starts with awareness around the issues. But it is also about removing the stigma that makes people reluctant to acknowledge their own difficulties and seek help. I have personally written often about my own experiences with depression , and sharing this is one contribution I can make. Plays like the recent People, Places and Things are also powerful agents for change and hope. Let’s keep talking.